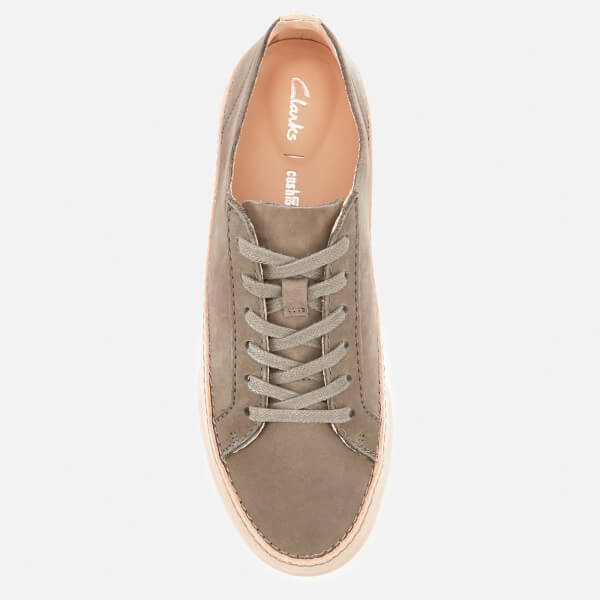 Women's casual low top trainers from Clarks. 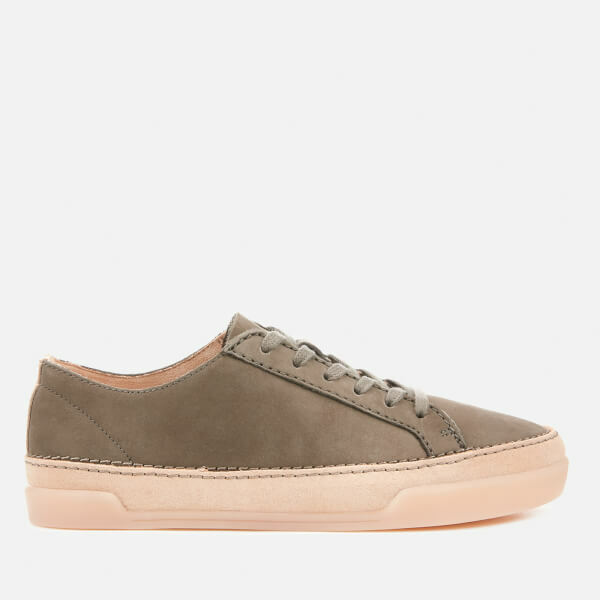 Crafted from nubuck leather to form a sleek upper, the 'Hidi Holly' sneakers feature a rounded toe, classic lace-up fastening and tonal stitches throughout to uphold a minimalist aesthetic. Built with a deep, moulded footbed, Cushion Plus™ technology and a leather sock for enhanced comfort underfoot. 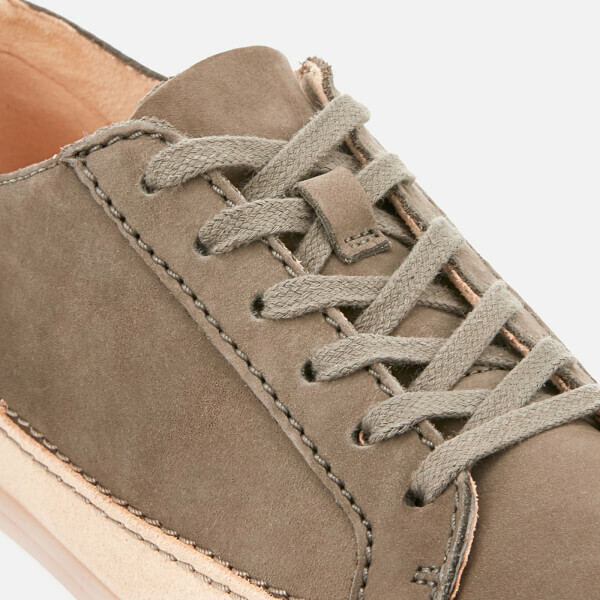 Set upon a contrasting rubber outsole.